Arsenal Chief Executive Ivan Gazidis presented a cheque for EUR 1.3 million to Save the Children, the club’s global charity partner, and UNICEF ahead of the Gunners’ 3-0 victory in Greece last week. The money , which will be used to support Save the Children’s work with vulnerable refugee children in Europe, was raised as part of the European Club Association’s “90 MINUTES FOR HOPE” initiative. The campaign saw the 2015/16 UEFA Champions League and UEFA Europa League Group Stage participants donate EUR 1 for every ticket sold from the first round of fixtures this season. Overall the initiative has raised EUR 1.3 million and the money will benefit Save the Children’s and UNICEF’s responses to the European refugee crisis. Both charities will allocate the funds to programmes across Europe, both in countries where children are on the move and in countries of final destination. Arsenal were one of the first football clubs to respond to the refugee crisis this year, raising £60,000 for Save the Children’s Child Refugee Crisis appeal in September by donating £1 from every match ticket sold for the home match against Stoke City. The Arsenal Foundation has been supporting Save the Children as their global partner since 2011 and has raised more than £1million to support the charity’s life-saving work. 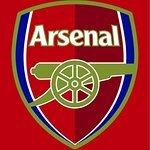 Arsenal has been a committed supporter of Save the Children’s emergency response work as well as their crucial work with child refugees, donating to the charity’s Syria Crisis appeal and funding a new football programme for children who have been forced to flee their homes due to the conflict in Iraq.